Many of us strive to live healthy, balanced and fulfilling lives, but find it challenging to stay true to our aims. By focusing on three aspects of yoga: yoga postures, meditation, and healthy eating, we can transform our approach to health as well as our approach to life. There is more to life than dieting and exercising and all the other things you may have been trying. Yoga philosophy provides a new perspective from which to viewing life and to staying healthy. As Gandhi believed, health must be sought primarily in the realm of the spirit. Joining a community like the one created during this 40-day Transformation is one of the most powerful steps you can take to improve your life and to start living true to yourself. We will meet once a week as a group to focus on 3 aspects of yoga: yoga classes, eating a healthy diet, and developing a meditation practice. You will have unlimited access to all the classes at KYC, as well as unlimited access to our 30+ online yoga videos. We will also have a private facebook group for continued support in your 40-day revolution. We encourage at least a 20-minute yoga practice each day during the program. This can be done at home, by video, or at KYC in classes. Ideally we can practice everyday, but we understand that life gets in the way. We encourage people be partnered with an accountability friend to help you get through the days. Not only will you get stronger and more flexible during the 40-days, but you will feel healthier, have less pain, less stress, and more joy. Stress is responsible for 75-90% of doctor’s visits in the US. Meditation is proven to help lower stress and so we teach meditation as part of this program. We share simple ways to bring more relaxation into your life. As little as a 10-minute daily meditation can change your life. First of all, there is nothing strict about the program. We take an educational approach and try to provide participants a new perspective on how the food they eat impacts nearly every aspect of their life from their mood, their concentration, their emotions, their energy levels and their health. 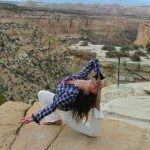 We usually tell people, that if you are here asking this program, then you are probably at or want to make a transition in your life, which is why you are looking for the guidance that a deeper yoga practice can provide. You are in the right place. We believe that you have the ability to use your intuition to know what you need at this time in your life. Take a moment to take a deep breath and see what comes up inside when you visualize yourself with the support to transform your life. What is life like, what are you like? We are here to support you in this journey. I am a beginner, can I do this program? Yes! It is a great place to start your yoga practice. Not only will you have access to all our yoga classes, but our weekly meetings will be a great way for you to learn more about yoga and what classes will be best for you. We also have a posture workshop to help you get personal attention on your poses to get you more confident in your classes. 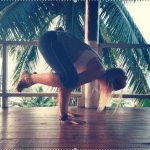 I have been doing yoga for years, can I do this program? Yes. We have been practicing yoga for years as well. And as I am sure you would agree, being with a group of likeminded yogis with a shared intention for this 40-day practice, will provide some much welcome fuel to inspire a deeper commitment to your practice. So, it includes unlimited yoga for the 40-days? Yes! You can take as many classes as you like during the 40-day program. We encourage to try to make it to 2-3 classes a week, but it is totally up to you and will depend on what you can fit into your weekly schedule.